that damages the soft tissue and destroys the bone that supports your teeth. 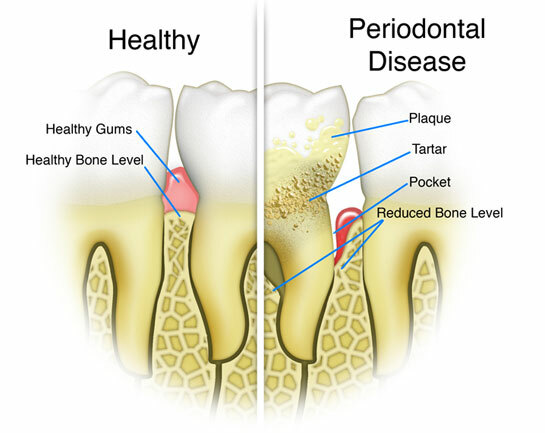 Periodontitis can cause tooth loss and increase your risk of heart attack or stroke and can cause other serious health problems. Our great community of Sidney, OH needs to know that our oral health can and does affect our overall health. It’s important to understand that the sooner you seek care for gum disease, the better your chances are of reversing the damage, relieving the symptoms as well as preventing further damage or other serious health conditions. Gum disease can be painful and could have greater health affects, but the good news is, it is treatable! If you are concerned that you may have signs of gum disease, see you dentist right away and ask about a screening. For tips like this and more, like us on Facebook and follow us on Google+ and Twitter.